We, women love wearing plain sarees! Isn’t that right? There is effortlessness in it, and moreover the fresh appeal these sarees offer to a look is immense. All ladies who love saree will have no less than a couple of these beautiful sarees kept in their closets. 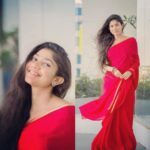 The great news for them is, more than the party wear or designer sarees, your plain sarees can be worn to any event/party/occasion by basically matching them with stunning designer blouses, rather than going for plain blouses. Designer blouses give plain georgette sarees that extra oomph! The effortlessness of these sarees adds charm to its magnificence and the addition of chic designer blouse makes the entire look even more fantastic. 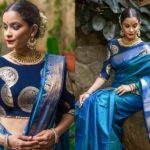 In this article, we have 10 super chic blouse choices for the plain georgette sarees that can totally lift your style game every single time we sport them! If you wish to instantly give your plain black saree a chic look, pair it with gold bling blouse. The sparkly finish offered by this blouse makes it excellent for late night events and parties. This gorgeous blouse with embellished bling work will instantly up your style quotient. Do not go overboard with the jewelry and let the blouse do all the talking. Thus, play your fashion cards well and wear this stunning blouse to make a long-lasting impression. Floral work and prints have been a large number of women’ top pick! We never become weary of floral work/ prints on our clothing. Isn’t that true? 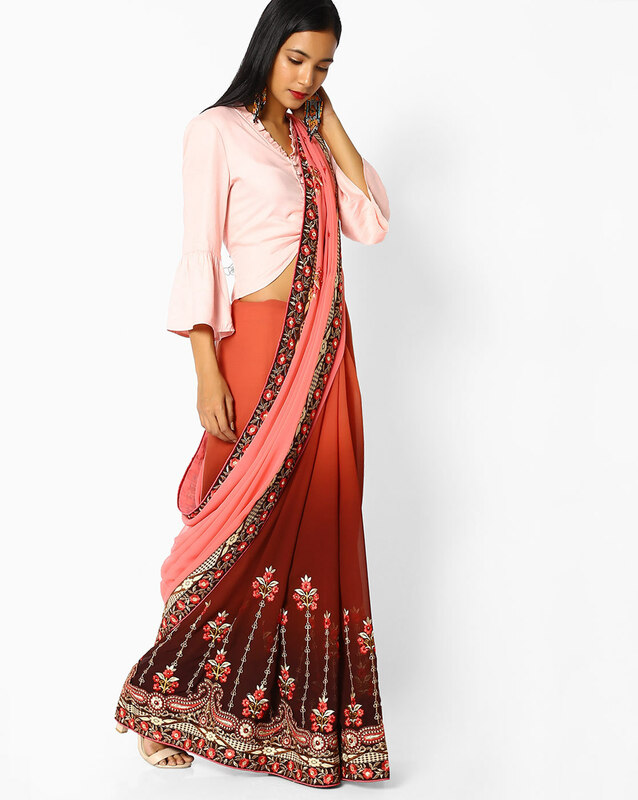 Our plain saree can likewise be worn with a charming floral blouse with unique detailing. Besides georgette, these floral blouses look great with plain silk and chiffon sarees as well. They look stunning if styled well. 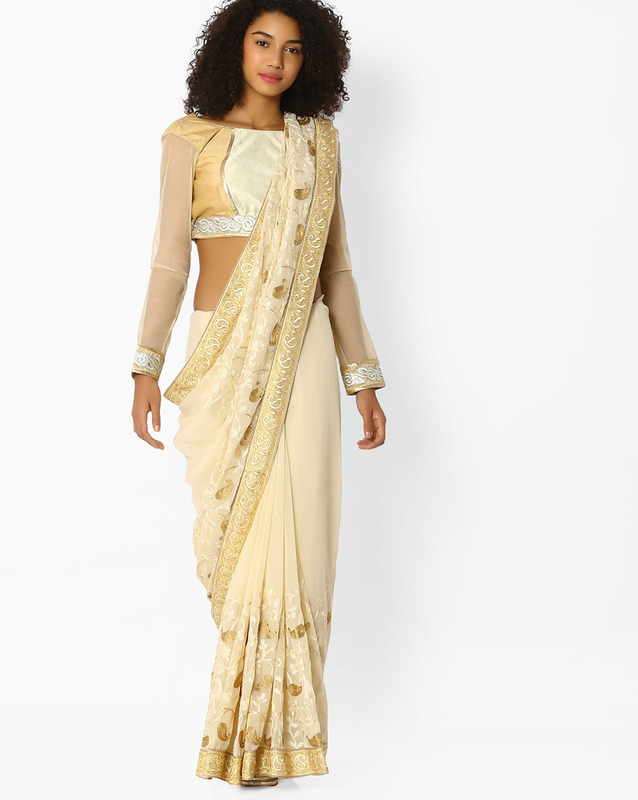 A basic gold sleeveless blouse can be truly paired with just about any plain saree of any color. They offer such a glorious look to a basic plain saree. The sheer versatility of the blouse makes it compulsory for each woman to own minimum one of these. It may even already be there in your closet now. Hence, give your favorite plain georgette saree an elegant look, by matching it with a glamorous deep U neck gold sleeveless blouse. 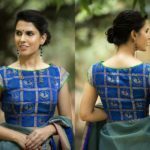 Despite the fact that net full sleeve blouse and plain saree combination appears like a boring one, it can really look amazing if there were some work on the blouse. It is important that the blouse is sewed into some beautiful design that stands out. The boat neckline looks gorgeous in this particular blouse design and enhances your collar bones. Who doesn’t love bell sleeves? We all do, right? These kinds of sleeves are back in fashion and they have literally overtaken every clothing store. You can find them in dresses, tops and of course blouses. 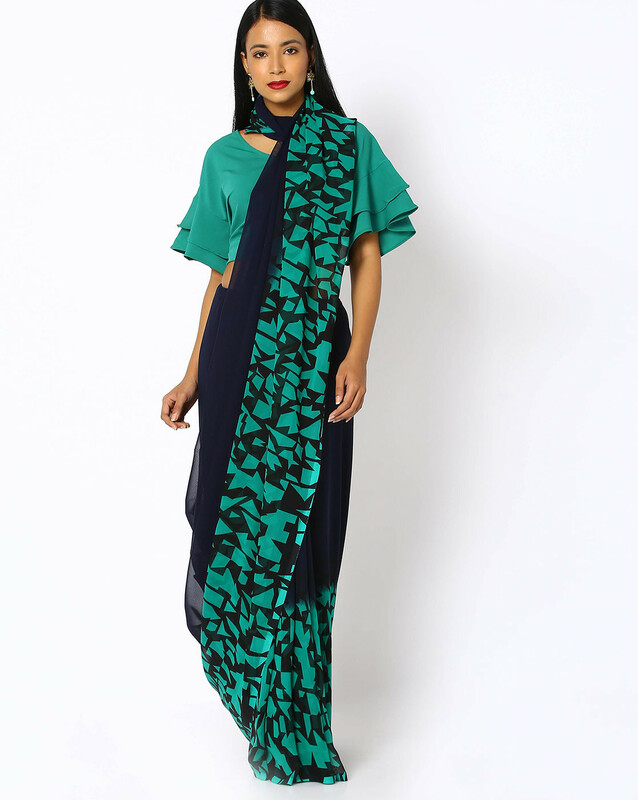 Bell-shaped sleeves with extra flutter and comfort look ultra chic with plain georgette saree. If you don’t already one, now is the time to get one for yourself. High-neck blouses are in vogue nowadays for women of all age. In the event that you do not like deep-neck blouse, high-neck blouse will make a chic fashion statement and you will certainly be the most stylish woman in any formal event. Embrace elegance with a bit of glam that will instantaneously catch the attention of the onlookers. When worn with a basic plain 9 yards of mesmerizing beauty, you are certain to spell a cast on the people around you. This previously loved design is making a return steadily – and why not! Bell sleeves are attractive, and teleport the wearer to a fantasy land. These kinds of blouse silhouettes are very much in vogue these days. This particular blouse also has frills on the neckline which makes it look even better. You can match such blouses with your floor-touching skirts and lehengas too. Pick collared blouses if you really want to make a statement. The western vibe of the collar differentiates flawlessly against the ethnic beauty – offering the wearer an ultimate edginess. The simplicity of this blouse is its main charm. Pair them with braid buns or high buns to make the collar pop up better. Well, who would not love a stylish net blouse? Net is the new name for sass and bold. Net blouses can make your plain sarees an instant makeover. Therefore, if you wish to wrap your plain saree for an in-vogue look, then net blouse is your best bet. 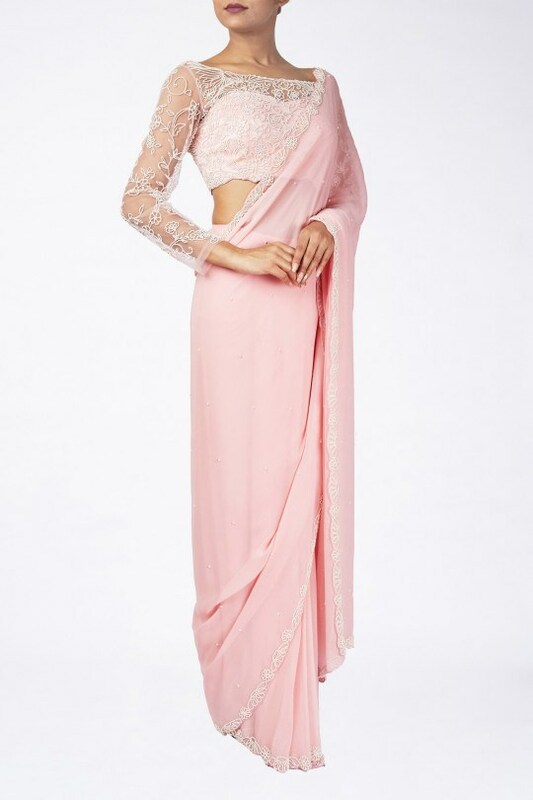 You can either go for a full net blouse with an internal lining, or you can go for sheer sleeves and neck (like in the picture) for a significantly more chic saree look. 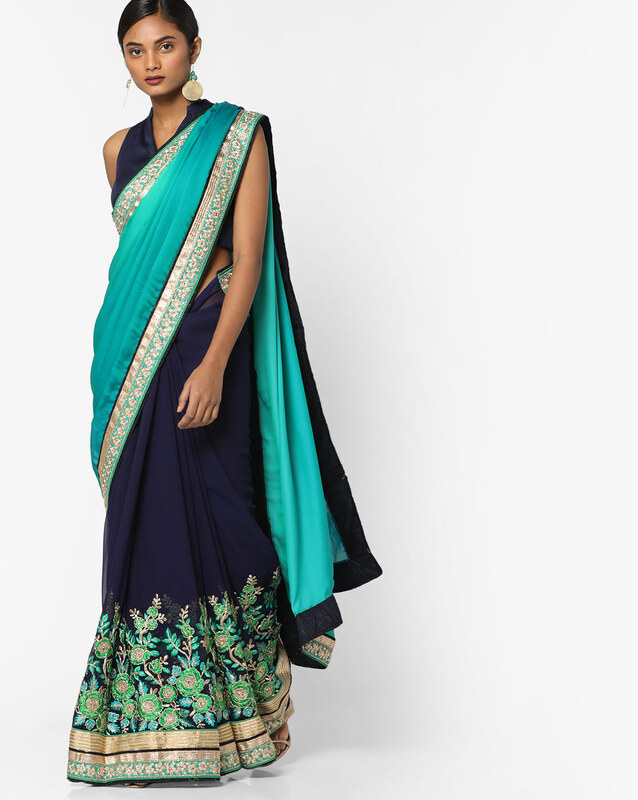 You can even for the net with embroidery to offer an expensive look to your plain georgette saree. 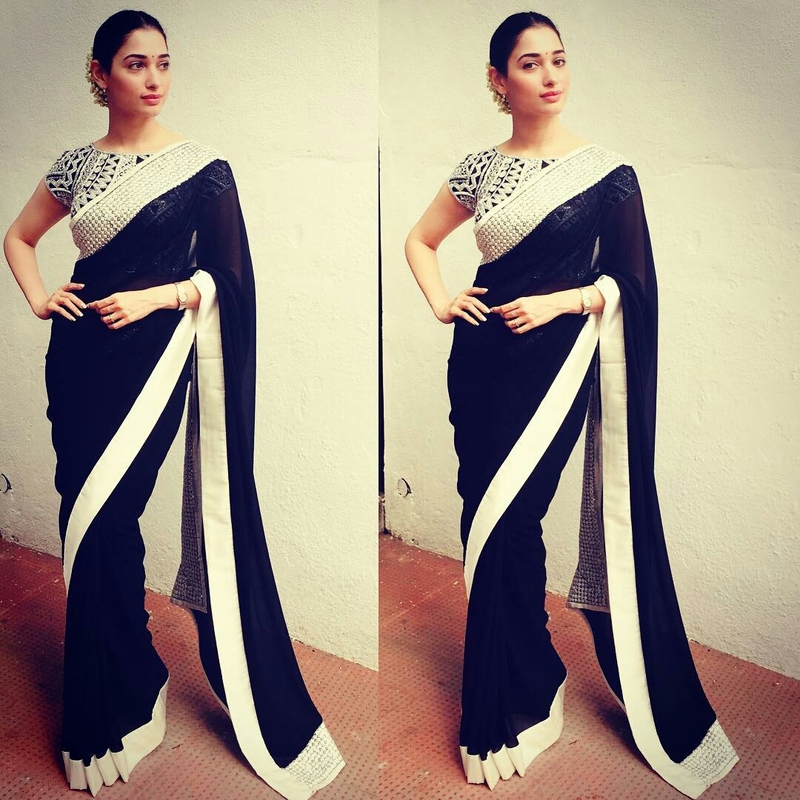 What is the best way to give a plain saree a glam makeover, you ask? The answer is to go for bold stone work. To make the blouse more appealing, play with attractive necklines. Plain georgette sarees do not have to be dull and make you look monotonous. You can try various designer blouse choices with a similar saree and put together a completely new look every single time. With a touch of creativeness, you can even salvage your existing designer blouses and wear them with your plain sarees. Pick the blouse design that complements your saree and flaunts it with élan. Make sure to feel good in your own skin and with what you are wearing. The above options must have provided you with enough ideas to go for new blouses. Do try them at the next upcoming function that you are attending.